We really love dogs, and National Spoil Your Dog Day is the ultimate in making our love of dogs official. Dogs bring a lot to our lives, and while they might not be the most independent creatures to invite into your home, they don’t ask us for very much in return for all their doggy goodness. Dogs make us laugh, love us unconditionally, and they’re happy to clean up any food we happen to drop on the floor. (They might even help clean up the food you’ve left on the table!) In exchange, all our dogs want is a warm bed, a few belly rubs, and maybe a couple walks in the park. But National Spoil Your Dog Day is all about showering man’s best friend with appreciation for all the friendship we’ve enjoyed in their company. Whether you’ve got a tiny toy pug or a giant English mastiff, this holiday is your chance to break the day to day rules of endearment and really go all-out to show your dog just how much you love him (or her). For National Spoil Your Dog Day on August 10, give your dog a bone, leash up, and join us to celebrate our wonderful canine companions. MGM brings Lassie to life in this 1943 motion picture, based on the similarly titled 1940 novel by Eric Knight. What dog doesn't love treats? But dog owners know that too many treats can be a bad thing. On this special day, break the rules and spoil your dog with as many treats as you want. You can keep it healthy by adding in some natural treats like carrots, salmon skin, or coconut oil. Some human foods aren't good for dogs, so be sure to consult your veterinarian before sharing from your plate. All dogs love walks, but that's just one of the many activities you can do on National Spoil Your Dog Day. Instead of walking around the block, you could take your dog to the dog park to socialize with other dogs while you walk. Some parks host dog-related events, especially on dog holidays, or you can organize your own dog party to get together with your dog-spoiling friends. Not your scene? Take your dog to a pet spa and let the spoiling really begin! In all honesty, dogs don't really care what you do with them, as long as you're spending time together. Nobody knows your dog like you do, so take a moment to consider the things your dog loves best. Give your dog a great belly rub and snuggle up on the couch for a movie marathon if that's what your pooch enjoys. Go down to the waterfront or fill up a backyard kiddie pool if your dog loves to splash around. Whatever your dog's favorite together-time, you can deliver it with a little thought and some heartfelt appreciation for what your dog adds to your life. The sad truth about dogs is that they don't live as long as humans. But somehow, dogs pack a lifetime of love and licks into little over a decade. Dogs love us without question, and they never complain about our busy schedules or the taste of their food. For all the love, companionship, and straight-up adoration our dogs lavish upon us, don't you think they deserve a day of getting spoiled in return? Whether you've got one shih-tzu or a pack of lively mutts, there's just something about their doggy faces that makes your heart go all warm and fuzzy. Maybe it's all the love in their big brown eyes, or maybe it's that funny way their ears flop inside-out sometimes. Every dog is unique, but there's always that special something that makes your dog special to you. Whatever the quirks that you love about your dog, we love that every dog has quirks to love. Okay, so a lot of us don't really need an excuse to spoil our dogs. But dog owners know that too much spoiling can lead to bad health or behavioral problems. For a lot of dog owners, it's less about when to spoil their dogs and more about how to keep from spoiling them too much. 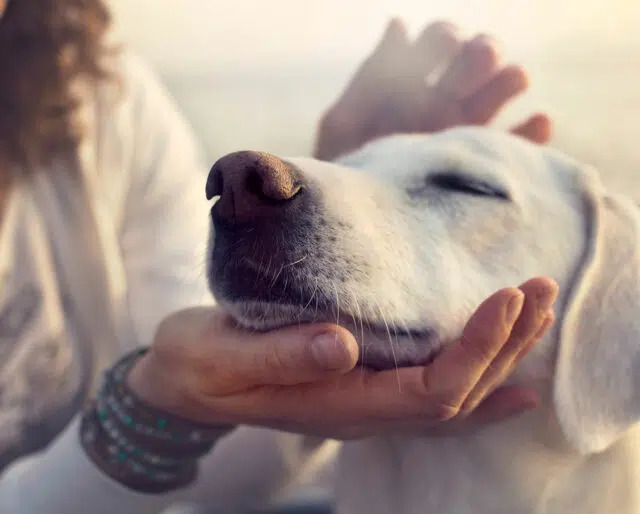 National Spoil Your Dog Day is the perfect time to pamper our pets, and by concentrating a lot of our spoiling on a single day, we leave room for our dogs to enjoy a more balanced lifestyle overall.